Believe me when I say that carving out the body of an athlete can be a hard road, I can tell you that from personal experience. You should be aware that the first three quarters of the job is down to you making the right lifestyle decisions, by eating and training right you will set your body on the path to S-Curve perfection, plain and simple. However other factors such as stress, poor sleep and deficiencies in the body can cause us to store fat even when we think we’ve got everything figured out. There’s been a few times when I’ve turned to supplements to help boost my own performance and overcome certain obstacles in my training. I’ve written about them here on this blog. More recently I’ve been saving all my advice for you female Fitbuzzers, with that in mind I thought it would be useful to profile some of the best fat burning supplements available for women. Now there’s plenty of people out there that have never used fat burners and probably don’t have the first clue when it comes to choosing the right one. Personally I’ve always looked for ingredients that offer a good metabolism spike as well as improved energy for training. The best fat burners are the ones that support reduced body fat but also supplement your body with healthy ingredients at the same time. For all you ladies a good appetite suppressor can also work well as it’s now a scientific fact that women struggle more with cravings than men. Natural stimulants – Natural stimulants like Green Coffee and Green tea have a powerful thermogenic effect on your body, raising your metabolism and helping you burn more calories even after you’ve finished in the gym. Dietary Fibre/Appetite Suppressants – A good fat burner will include a healthy amount of a dietary fibre. Dietary fibre is known to help with bowel health and certain types like Glucomannan are very effective in filling you up and stopping you from consuming too much food. Vitamins – Vitamins are also important for optimising that s-curve body. In many cases vitamins or minerals will switch on enzymes to help break down fat. In particular, B vitamins are involved in unlocking and using energy from the body’s stored fat reserves. Spices – Some of the best include super spices like Cayenne Pepper and Turmeric which have been shown to combat fat by boosting your metabolism and stopping the production of fat cells. When on the hunt for a top fat burner you should be looking for one to compliment your training and diet. The key thing to be aware of is that natural ingredients can and do work but only alongside hard work and discipline. Which Fat burner should I choose? When you’ve been involved with fitness for a long time you start to get a good feel for what works and what doesn’t. When it comes to choosing a top fat burner I do usually favour the more premium options. These are the ones that include the most thorough formulas and effective ingredients however there’s also few cheaper options here for those on a tighter budget. Made by the specialist supplement firm Ultimate Life, Leanbean is one of the best reviewed and top rated fat burners available for women. And whilst it’s quite a new product it nonetheless has impressive reviews and comments from customers online. 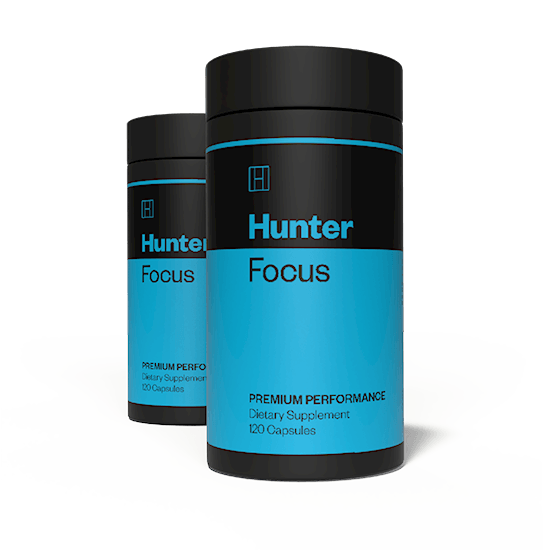 One of the biggest attractions of this supplement is that it really does tick all the right boxes for a product in this category. Leanbean was originally produced for fitness models meaning it includes the appropriate amount of natural stimulants to keep you energised whilst training, the main ones being Green Coffee and Green Tea. It also has an extremely effective approach to appetite suppression by including a solid amount of the dietary fibre Glucomannan as well as another proven hunger buster Cayenne Pepper. Leanbean is also different from other fat burners in that it includes Turmeric, Turmeric aids healthy weight loss as well as proper hormonal balance. Green Coffee/Green Tea – Natural sources of caffeine that help you burn fat without giving you the jitters. Vitamin B – Helps convert fat into fuel and aids sleep. Leanbean is number one on the list as it’s a high-grade fat burner that includes the best all round combination of fat burning ingredients. As with most of my favourite products in this category Leanbean has a premium price tag. Instant Knockout has been around for quite a few years now and has really stood the test of time. In all honesty there’s not much in it between this one and my number one pick Leanbean. Instant knockout is a high-quality fat burner that’s used by cage fighters looking to cut down for an upcoming bout. It has one of the best combinations of fat burning ingredients making it a really good choice for both men and women. Like Leanbean Instant Knockout’s pedigree is backed up by positive customer reviews online and a solid ingredient profile. First and foremost, it includes a large quantity of stimulants like caffeine to get your metabolism surging and core temperature rising during workouts, something that can be really effective if you’re wanting to cut down quick. Instant knockout also has good appetite suppressors like Cayenne Pepper and Konjac Fibre so great for ladies looking to fight off the cravings. Instant Knockout is one of my favourite supplements period. A great formulation that’s used by the pros. Again, be prepared to stump up more cash for this one. Shredz Burner for Women was created by supplement firm Beyond Genetics Supplements, it’s number three on the list and one of the best fat burners on the market for Women at the moment. It uses only natural ingredients meaning side effects should be kept to a minimum. This product is designed to lift your core temperature and help your body to erase fat naturally. Shredz Burner contains a number of different ingredients to support weight loss as well as greater energy and motivation. The best of these includes Cayenne Pepper which aids metabolic rate as well as appetite control. I also like the inclusion of Caffeine and Green Tea to support increased energy and metabolic function. Cayenne Pepper – Great ingredient that helps with both appetite and metabolic rate. Green Tea – Includes antioxidants and stimulates fat burning through thermogenesis. Caffeine – Well known fat burner that also aids energy and aerobic ability. Another quality fat burner, Shredz packs a punch when it comes to natural stimulants. One slight drawback is that it doesn’t include dietary fibre like Glucomanan, so take this into consideration if cravings are a particular problem for you. Shredz is one of the most expensive picks but it’s also a favourite too. Grenade is a sports supplements brand based in the UK. Grenade Killer Ketones was designed to be promote fat oxidation in women and uses ingredients designed to isolate excess dietary carbohydrates. Grenade Killer Keytones includes Caffeine as well as Green Coffee Extract, two ingredients which I always like to see in a good fat burner. It also includes African Mango which has been linked to decreased bodyweight and waist circumference. There’s also a decent amount of Vitamin B in this fat burner which helps convert dietary fats into energy. One of the more budget options on the list, it includes good fat burning ingredients like Caffeine and Green Coffee. However I don’t think it includes anywhere near enough Green Coffee Extract as this is one of the most effective fat burning ingredients around. It’s also missing top appetite suppressor Glucomannan. Leanmode is produced by a company called Evlution Nutrition. The product is marketed around a low stimulant content meaning it may well be attractive to female customers. Leanmode includes good amounts of Green Coffee Extract and Green Tea, two of the best ingredients for speeding metabolism and losing weight. However it is missing some quality ingredients that I would typically associate with a top fat burner. There’s no dietary fibre for appetite control nor does it include fat burning spices like Cayenne Pepper or Turmeric. Leanmode is decent budget option for women looking to lose weight, it’s low on stimulants which can sometimes be viewed as positive thing. It’s important to point out that it is missing some key fat burning ingredients, which is what puts it number five on the list. Well…The team behind the scenes… Has been working on new formulas for you. For months now. Again… You’ll follow the rules laid out on the supplements page above @ usage (A common question actually). Anyway. Here’s the > new page. Dig through. It’s a solid read. Which of course… Is one of the rules laid out, on the supps page. And as you’ll see, once you do read through @ the above… No reviews are needed. For the best all round formula and most effective fat burning ingredients our top pick is Leanbean.